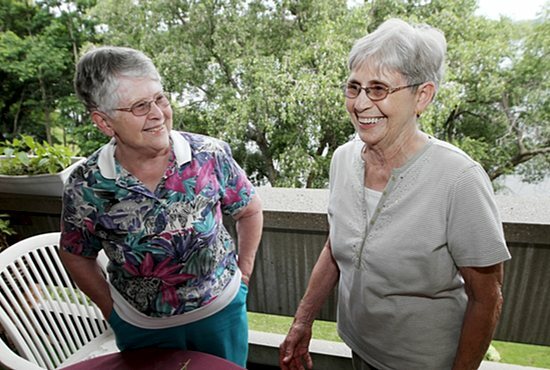 That woman who had thought of becoming a nun, even up until marriage, ultimately became the mother of two religious sisters of the Congregation of St. Joseph — Sister Shirley Tousignant and Sister Phyllis Tousignant, who’s celebrating her 60th jubilee this year. When both decided to join a religious community — Sister Shirley entering in 1948, nearly seven years before Sister Phyllis — their mother, although supportive, bemoaned the fact that she was less likely to have grandchildren. “But then my brother got married and had nine [children],” Sister Phyllis said. The sisters have lived together in a St. Paul apartment for nearly 15 years. Both attended the College of St. Catherine in St. Paul and earned a degree in education. Sister Phyllis taught elementary school for 20 years and then transitioned to pastoral ministry in parishes, spending 14 years at her parish, St. Pascal Baylon in St. Paul. There, she welcomed newcomers, planned funerals and ministered to the sick and dying. 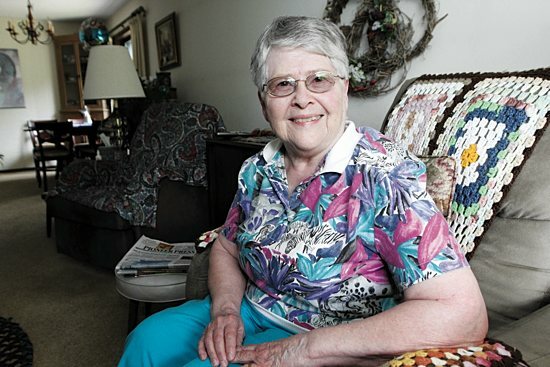 Sister Phyllis, 77, has been retired for eight years. In her 60 years as a religious sister, she said she has seen “drastic” changes for the good, such as how society views and treats women. Sister Shirley, 83, who’s been a religious sister for 67 years, said because education for women has been stressed since the 1950s, they’ve come to see religious life differently. “You’ve got all these educated women — and I mean educated — coming together and really uniting in thought,” said Sister Shirley, who affectionately calls her sister “Phil.” “It’s just an amazing formation that’s taking place there. It’s energizing. You feel like you’re a little old lady, but you’re not dead. You still have your education, your mind. So, we’re very involved, but not as directly as we used to be” in the traditional sense. Sister Phyllis entered the community, a “cousin” to the larger, better known Sisters of St. Joseph of Carondelet, at age 16 and took the name Sister Miriam Therese. 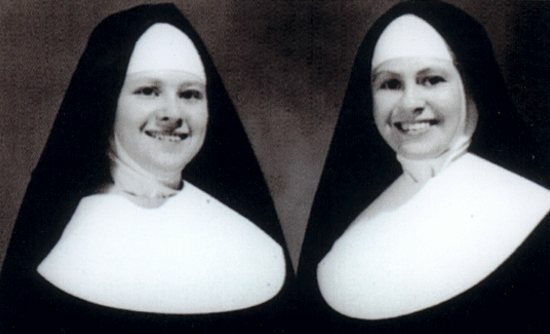 The sisters wore a habit until the late 1960s. Inspired by the sisters who taught them as youth near Detroit, Michigan, and their mother, a “woman of great faith,” Sister Phyllis and Sister Shirley trust they’ve spent all these years where they needed to be. Initially, Sister Shirley was attracted to the simple lifestyle of the Sisters of St. Joseph. When Sister Phyllis felt the same call to religious life, she entered the community in Crookston to be with her older sister. Following her order’s charism of “love of neighbor,” “presence and availability” has been Sister Phyllis’ theme. “I like to get up in the morning and say, ‘Let me go where I’m needed. Let me be of service to the people around me, no matter what that means,’” she said. Being open to God’s will in her day means she can volunteer in the community when she’s asked to help, or learn more about becoming involved in efforts to combat human trafficking. “When I look back on some of this, we had the choice time to be religious sisters because we know the old and the structured, and we’re very embedded in that,” said Sister Shirley. Sister Phyllis said she’s humbled by how people she serves are so comfortable with her and welcome her into their families.